Feeling a little reflective this week with the news that I had been nominated for an AusMumprenuer Award Influencer Award, so I thought I'd throw it back to our very first shoot! The boys sure have grown up since! Basically my blog was born out of my love to dress my sons with style and experience all Melbourne has to offer through their eyes. From connecting with mothers online, I quickly realised boys fashion was severely underrepresented in the market and decided to compile my own directory of boutiques and labels offering edgy, fun, high quality garments for boys. I’m a work-from-home mum to four beautiful boys aged 7, 6, 3 and 4 months. Prior to motherhood I taught secondary Physical Education, Science and volunteered with World Vision. My business is Styling the Tribe, a blog dedicated to boys fashion and lifestyle, centred around my four sons. Through social media, my blog also captures a glimpse into my life raising four young boys. What do you love about being a Mumpreneur? The ability to work flexible hours, maintain my full time mum status whilst earning an income and ‘work’ alongside my four sons/staff are the greatest perks. Also having creative license over my work, pushing myself to take risks and meeting remarkable, inspiring people in similar fields. What has been your greatest challenge & how have you addressed this? Where do I start?! I was new to the blogging world and had no idea how to launch a successful business. Dealing with large fashion house marketing teams and PR firms was extremely intimidating and at times overwhelming. Believing in my own self worth and bringing on talent representation (The Co Collective) to manage my collaborations and scheduling has allowed me to refocus my energies on what I love (styling) and achieve a better work/life balance. What have been your major achievements in the past 12 months? 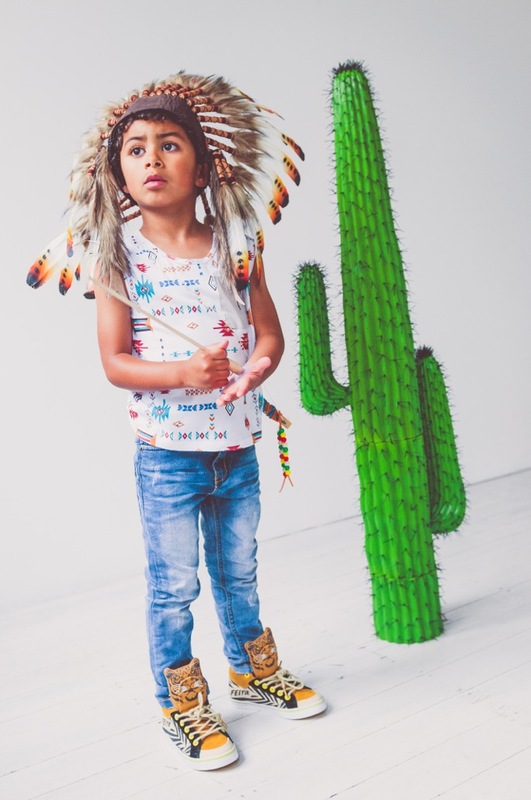 Working with some incredible local and international Childrenwear designers – Little Marc Jacobs, Seed, Sudo, Timberland, Bobux, BillyBandit, Pavement Brands, Boden, Cotton On kids has been a dream come true. Judging the junior Fashions on the Field at Emirates Stakes Day, collaborating with Chadstone The Fashion Capital, DFO centres, The Langham Melbourne and Officeworks are also “pinch me” moments. Attracting 40,000 Instagram followers and using my social media platform to support the work of amazing not-for-profit organisations including SanFillipo foundation, BCNA, Bravehearts Inc., Run Australia, Doctors Without Boarders and Save the Children Australia has also been extremely rewarding. What advice would you give to someone thinking about becoming a mumpreneur? If you’re passionate about it, pursue it. Believe in yourself and surround yourself with positive, like-minded individuals who will inspire you and support your vision. Remember it’s absolutely normal to feel anxious, experience self-doubt or feel like the odds are stacked against you, but stay focused, set goals, back your own judgement and be willing to learn from your mistakes. Everyone needs to start somewhere, make now your time. Why do you believe you should win this award? I'm an educator at heart. I love to learn, share ideas and inspire others. My business allows me to use fashion as a vehicle to connect with mothers, share experiences, offer advice and raise awareness of worthy causes. Winning this award would be a huge pat on the back - something you often don’t receive as a sole trader! It’d enable (and encourage) me to better equip myself with skills needed to build my blog (photography tuition, website redesign, business coaching) and provide a better service to my subscribers. KIDS INSTYLE - MELBOURNE GET READY!